Closeouts. 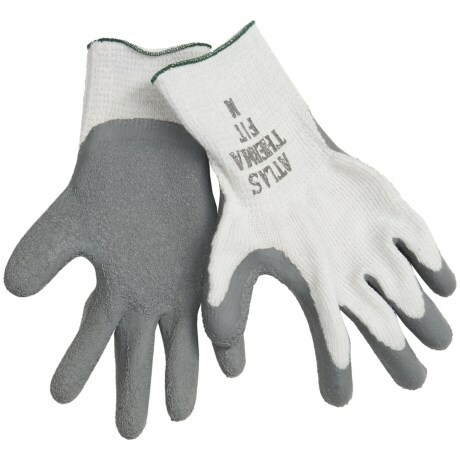 Atlas Therma-Fit rubber-palm gloves are perfect for those jobs that require supreme grip and extra warmth. The natural-rubber palm coating is abrasion- and puncture-resistant, and grips in wet, dry and chilly conditions.